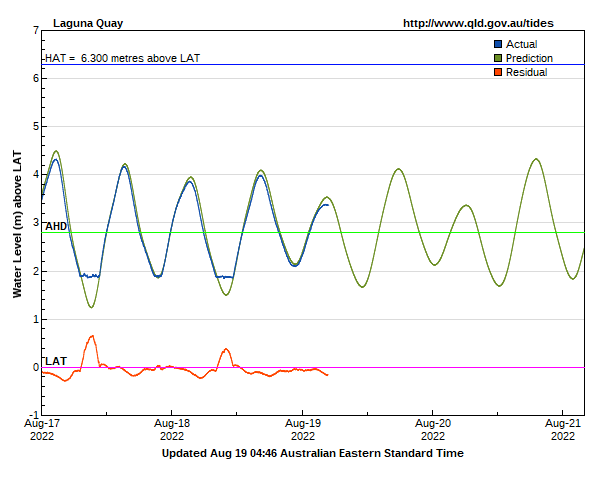 Note that Lowest Astronomical Tide (LAT) datum is the lowest tide level which can be predicted to occur under average meteorological conditions and under any combination of astronomical conditions. Although this level may not be reached every year, it is not the extreme lower-level that can be reached, as storm surges or other meteorological events may cause considerably lower levels to occur. Note that Australian Height Datum (AHD) is the value adopted by the National Mapping Council of Australia as the datum to which all vertical control for mapping in Australia is to be referred. 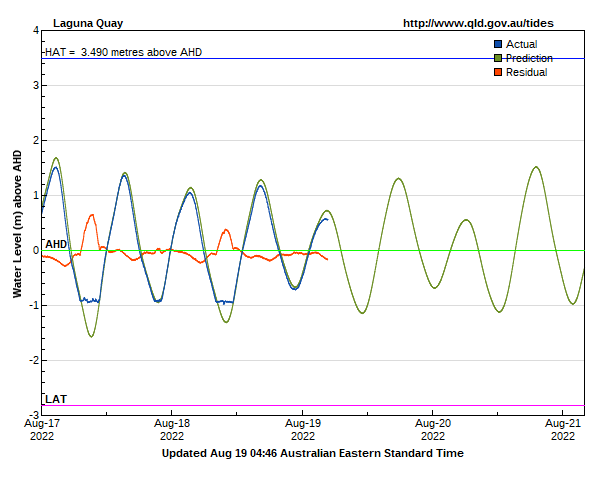 AHD approximates mean sea level and could be considered as a still water level if there were no tides or meteorological events affecting water levels. 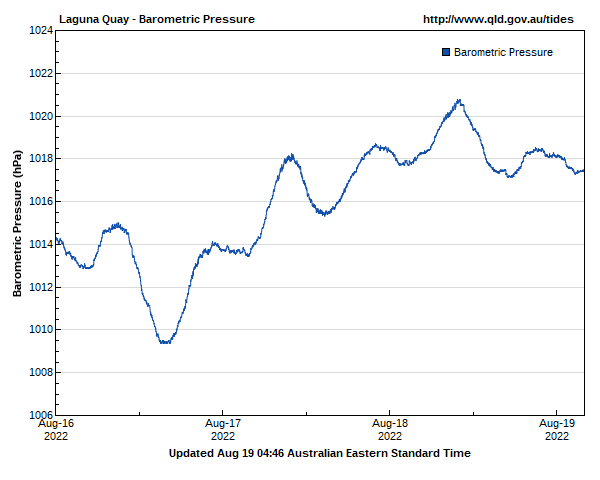 While reasonable care and attention has been exercised in the collection and processing of the Barometric Pressure data it must be treated as unverified. Laguna Marina, Midge Point, Whitsundays.